Mountain Moon after Rain - Terrific illustration from the true story of the Soga Brothers, two young samurai intent on avenging the death of their father. 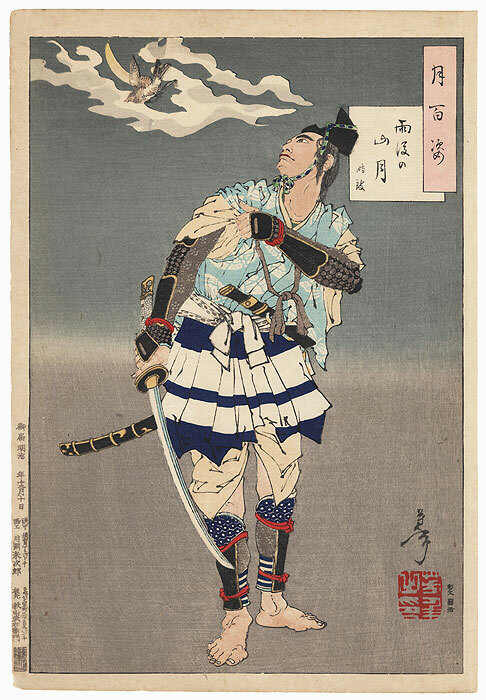 Yoshitoshi depicts Soga Goro Tokimune in the moments just before their plan for revenge will be set into action, gripping his sword in hand as he spies a cuckoo flying past the crescent moon above. 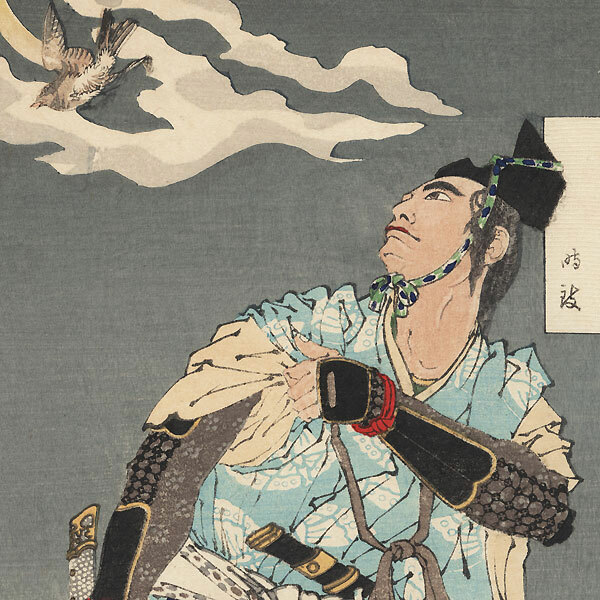 In Japanese folklore, the cuckoo calls spirits into the next world, foreshadowing the fate of the brave warrior. 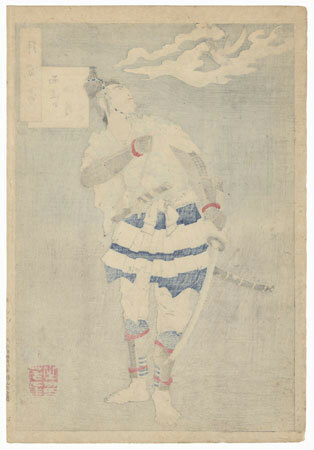 The softly shaded background focuses all intentions on the figure of Goro and the bird winging past the sliver of moon. A beautiful and poignant portrait of this famous hero, detailed with touches of burnishing on the armor, and handsome wood grain impression in the background. Condition - This print with excellent color and detail as shown. Nicely printed with full margins. Slight toning, a couple small spots. Please see photos for details. Nice overall.